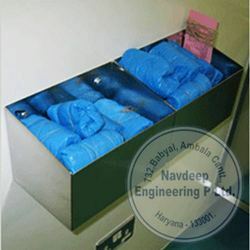 We are the leading manufacturer and trader of Lab Furniture & Holder. We can also provide customized version of these furniture as per the specifications provided by them. We are the leading Manufacturer, trader and service-provider of Cap Holder. We are engaged in offering our clients with a variety of cap holder, these cap holder are widely demanded by the clients for their quality and has applications in various sectors. Looking for Lab Furniture & Holder ?